This past week I found myself heading to the airport, not for a junket, or a red carpet premiere, or anything related to my day job at Bell for that matter, but instead to moderate a half hour program in our nation’s capital celebrating International Development Week with key individuals making waves on the quest (a non-negotiable if you ask me) towards gender equality. Through my partnership with FINCA Canada, I was welcomed there with open arms in both French and English, by government officials, NGO leaders and incredibly inspiring youth from across the country in an area I felt more like a fish out of water than a professional host. In this moment, I could feel hot tears on the cusp of spilling free, down my face covered in layers of foundation, contour, bronzer and highlight, soon to leave streaks that would reveal my true anxieties beneath a tooth-grinned exterior and seemingly outgoing and confident approach. At this point, I was at a fork in the road. No matter how I felt in the moment, 5:15 pm would come and go and I would find myself in front of a microphone, a live audience, and streaming across the country. Which meant that option (a) wasn’t really an option at all. It was time to problem solve and use the tools within my toolbox to do the best damn job I could. Rather than feel inadequate at discussing international development, I capitalized on an often overlooked quality: curiosity. With 4 volunteer trips under my belt all dealing with developing countries, in my heart, this has always been an interest of mine. So I used that, I asked questions from the heart, questions that mattered to me and hopefully mattered to everyone who tuned in. Next, rather than feel embarrassed at my anglicized bilingualism, I shifted my perception into one of pride. So what if I sound a little English, or if I stumble now and then when expressing myself? The key thing, the important thing, is that I am trying. And you know what? An e-mail came in from one of the higher ups expressing how well-received the French portions were. With that experience under my belt, I asked Momma Wilde if we could make more of an effort to communicate in French when we catch up going forward. Lastly, perspective. This 30 minutes was not about me, it was about something so much bigger than that. The issues we discussed ranged from local to abroad, palatable to hard-to-swallow, and inspiring to gut-wrenching. 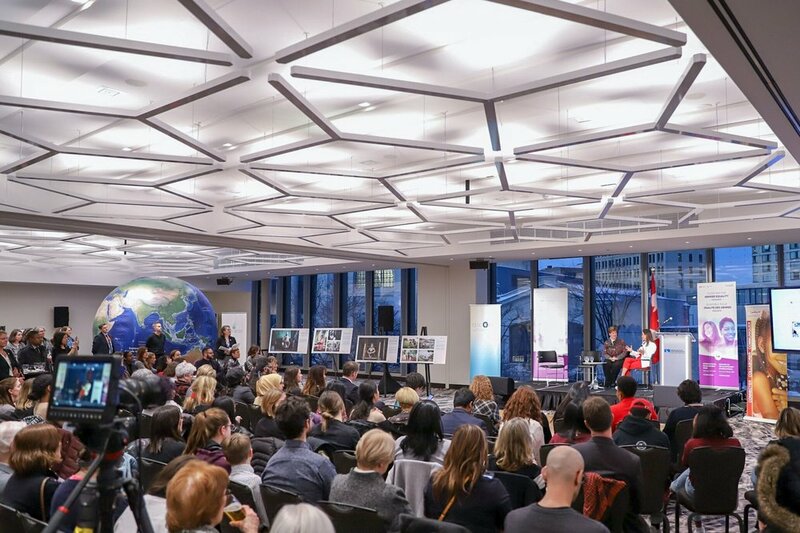 The aim was so much larger than a single individual, it was to celebrate the incredible work that Canadians are doing locally and abroad to bring about justice, peace, equality and positive change. As soon as I remembered that, everything fell by the wayside and instead of fear, anxiety and uncertainty, I was filled with immense drive, passion and gratitude for being surrounded by change-makers.